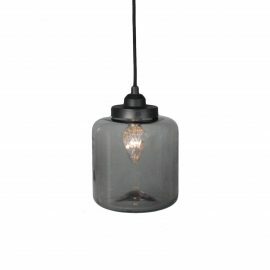 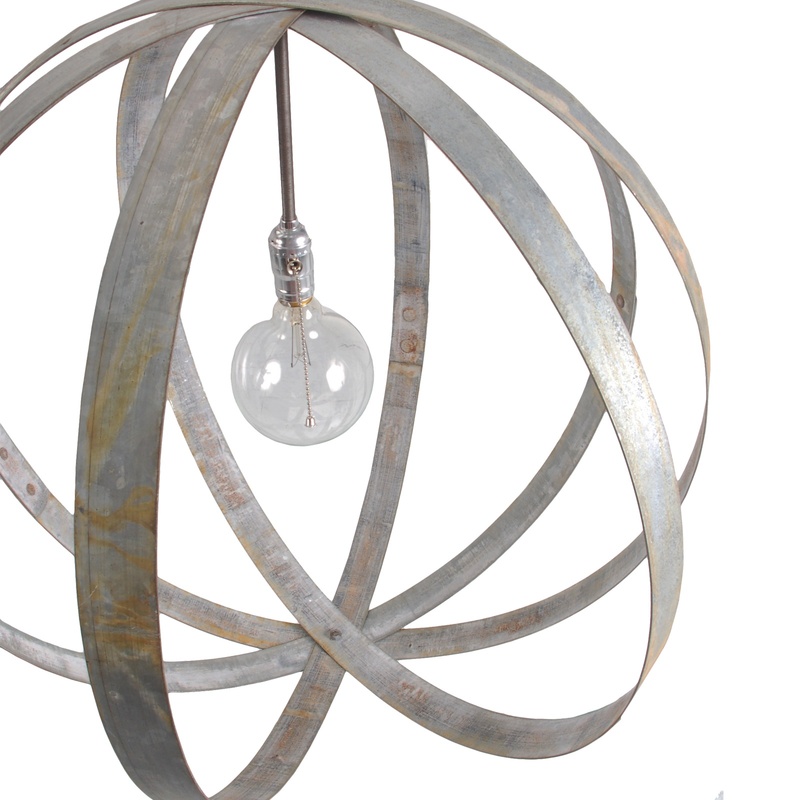 Stand out in a crowd with an Ace Pendant as your central lighting. 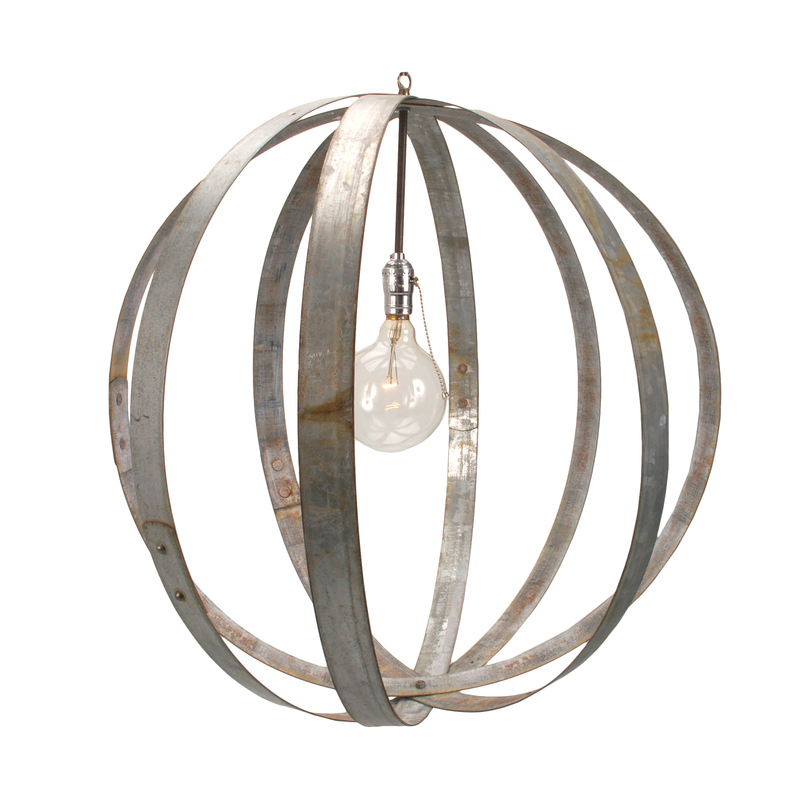 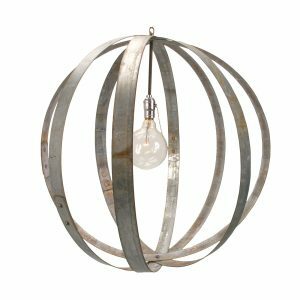 Beautifully repurposed steel wine barrel hoops create an elegant and industrial design for the Ace Pendant. 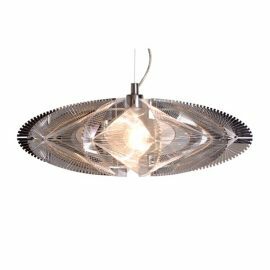 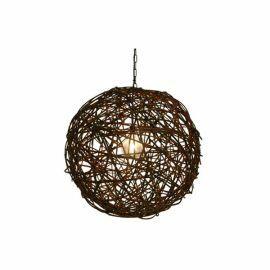 Rounded with exposed wiring, the Ace Pendant is perfect for any event: social, special, corporate, or film/television production.